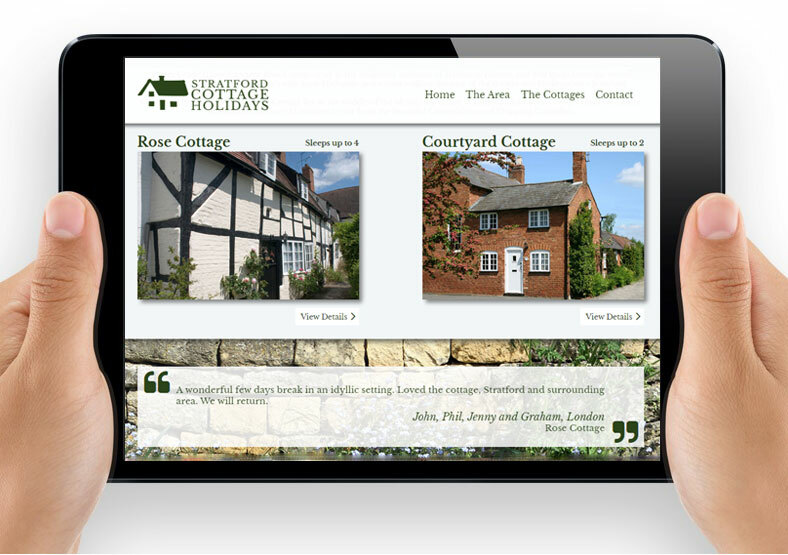 This holiday rental company owns two cottages in the Stratford-Upon-Avon area. They had previously let the properties via third party websites, and were looking to establish their own online presence. We started by designing a clean and simple logo, and carried the dark green colour scheme through to the website. 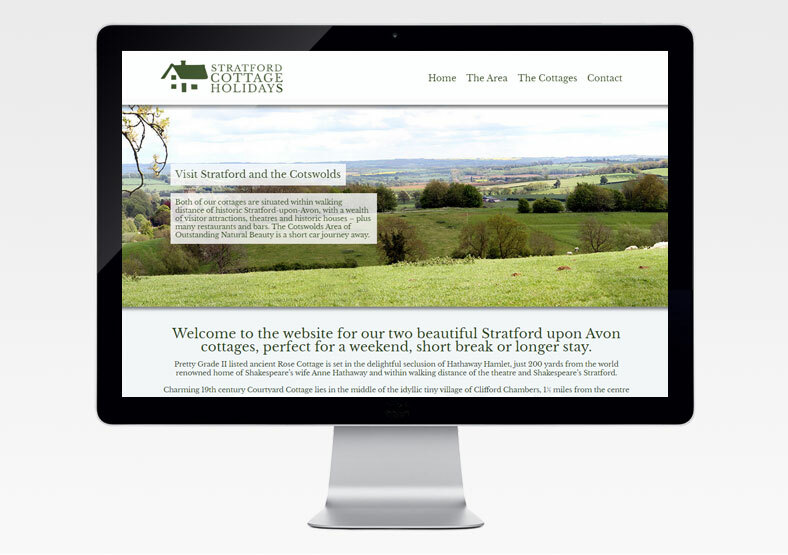 We designed and built the website using WordPress, meaning that Stratford Cottage Holidays staff can update the site on an ongoing basis. 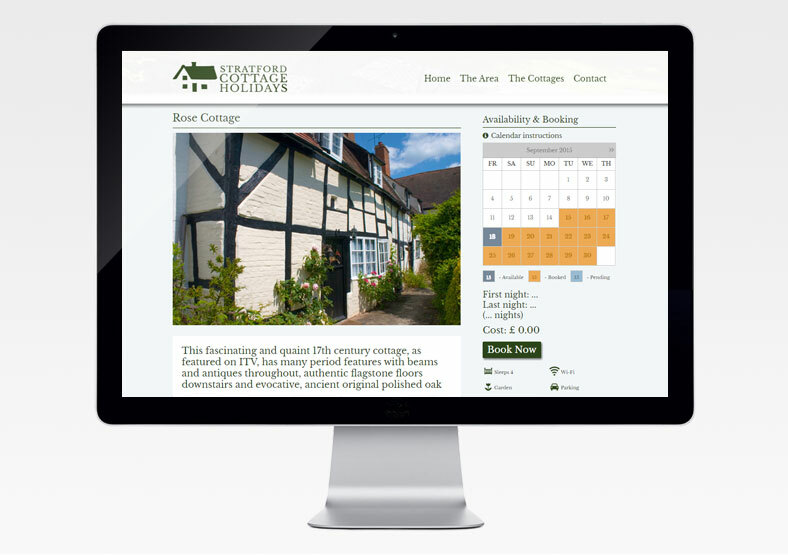 The website features an online booking system, allowing visitors to view availability and cost-per-stay in real time. Visitors can pay online, and the system also incorporates a deposit system, calculating how much deposit is due if a cottage is booked early. The admin area of the website is simple for the owners to manage. They can easily view bookings, check availability and send requests for final payments - all done via the online system. 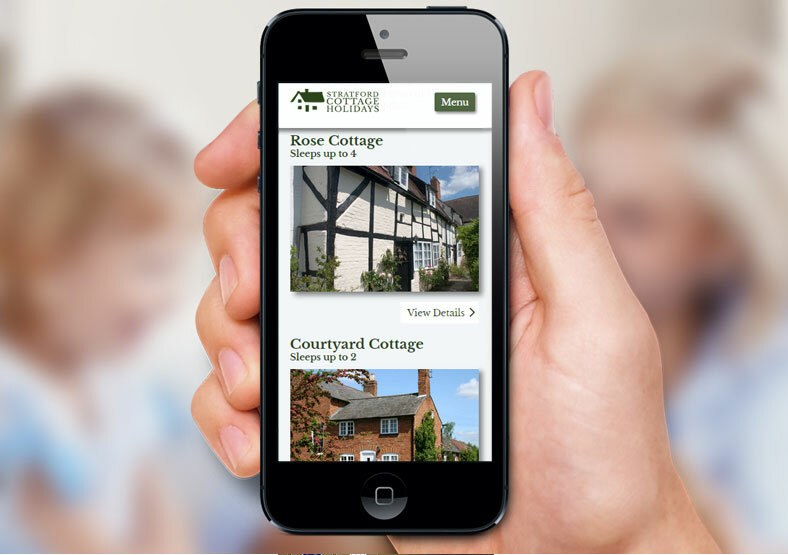 We built the site to be responsive (optimised for mobile devices), so it can be easily viewed on tablets and smartphones. We incorporated inbuilt SEO, meaning that the owners can keep keywords and meta data updated whenever they add content. (If this sounds like gobbledegook, check out our SEO guide). Content marketing – what's the point?